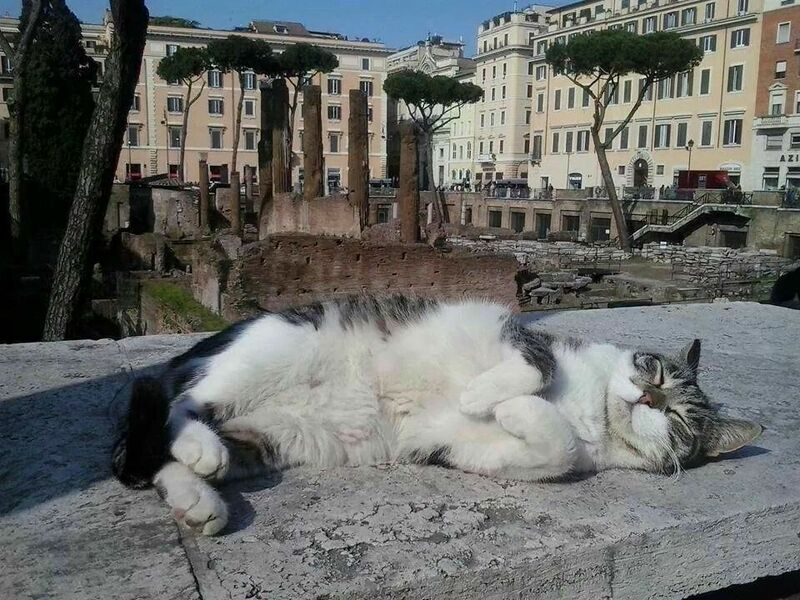 Almost 20 centuries have passed since then, but Caesar's spirit surely lives on in some of our aristocratic cats at rule over their temples with pride. 1929 was the year the sacred area of Torre Argentina was excavated. This was also the year the history of the cats' residency began. Stray and abandoned felines took refuge in the protected area below stree​t level. 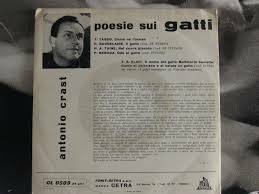 From 19​​29 until 1993, the cats were more or less regulary fed by a succession of cat ladies or "gattare". 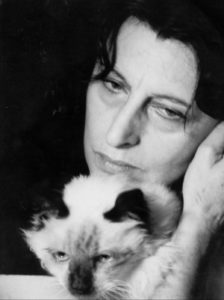 One of the most famous of these cat lovers was the great Italian filmstar Anna Magnani. 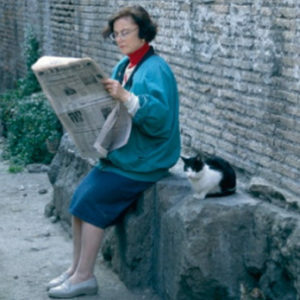 While working at Teatro Argentina which borders the ruins, Ms. Magnani would spend her breaks feeding her four legged friends. This film legend, famous for her heart-tugging performances, died in the 1960's. 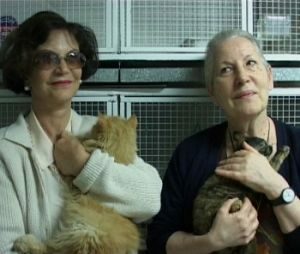 Lia and Silvia started working with the cats in 1993 when they began helping a woman who was running the show alone: feeding, spaying and neutering all the cats. Her generous efforts put her on the verge of an economic and emotional collapse. Soon Lia and Silvia realised there was a lot more work than the three women could manage. In that year the cat population was 90 and growing due to the irresponsibility of people abandoning their cats and kittens, perhaps to go on vacation. 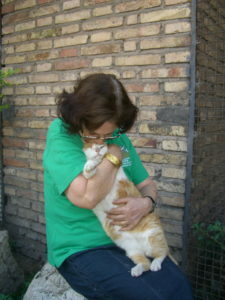 And so, Torre Argentina Cat Sanctuary was born! Working conditions were primitive to say the least. A cave like area under the street had been unwittingly created by the construction of the street and the pillars that sustain it long before the cat shelter began. It had a floor space of about 100 sq. meters and it began as a night shelter for the cats and as a storage place for cat food. It was a difficult and frustrating job. Caring for more than 90 cats in a damp underground space, in many places so low that one cannot stand up and no electricity or running water. For almost a year and a half Silvia and Lia worked under these conditions, hoping for a breakthrough or a guide through this dark period. Their prayers were answered in 1995 when a savior arrived: an English woman named Molga Salvalaggio. She told Silvia and Lia about the wonderful achievements of certain English organizations who worked in animal protection and she put them in contact with A.I.S.P.A. (Anglo-Italian Society for the Protection of Animals). A.I.S.P.A. was the first organisation to give material as well as moral support. In addition, they introduced Silvia and Lia to English resources concerning stray cats and solutions to frequent problems who studied this invaluable information and began the slow process of imitating English role models. In September of 1998, a Captain of the U.S. Navy, John Henriksen and his wife Cheryl generously opened their home to 120 people for a dinner, auction and raffle, our first Gala. Later, Alexandra Richardson, wife to the British Ambassador allowed the volunteers to hold a fundraiser/Gala at her residence. Several more Gala’s followed the following years and provided badly needed funds. With the newly found income, TA could afford cat food of better quality and the new burst of enthusiasm also motivated Silvia, Lia and their team of volunteers to become more professional and organized in daily operations. 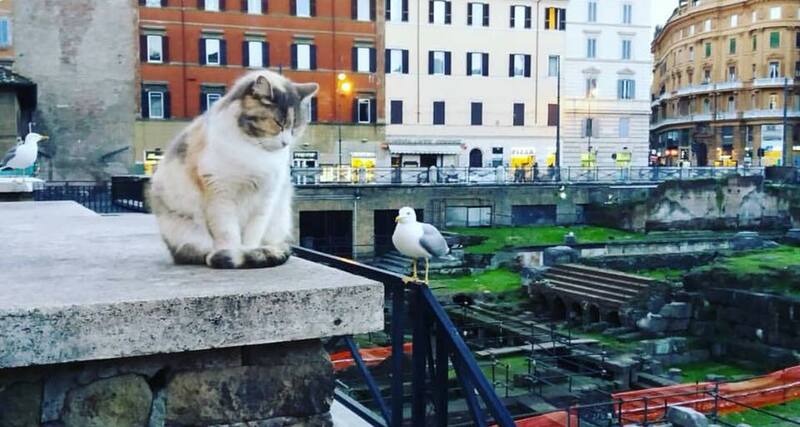 When feeding spaying and veterinary care for the TA cats had become an affordable routine, we started sharing funds also with the poorer sanctuaries around Rome but with the emphasis on spaying and neutering, they were and still are priorities. ​Nelson, a one-eyed Torre Argentina cat was the main character in an award winning book by volunteer, Deborah D’Alessandro. It was published in 1999 and soon became a bestseller at the shelter drawing attention to the plight of abandoned cats. At around the same time, Barbara Palmer,published “Cat Tales”: both books contributed to the growing reputation of the shelter.